The husband and the parents have never been to Australia. When we were living in the UK, to travel to Australia is a huge undertaking as it requires over 20 hours of flying time. That is just too painful to go through. Hence we never felt the need to explore that part of the world. I was lucky as in my younger days, I went to Perth & Fremantle on a school trip and again with a university mate to Gold Coast & Brisbane. So when I spotted some bargain air tickets on Jetstar, my travel planning gloves were put on and off we went to Perth. Perth is extremely popular with Singaporeans as it's only a short 5 hours flight from here. For the husband, this is great as the weather in Perth is more to his liking. He functions well between a fine temperature range of 18C to 25C, anything above he melts and below he is freezing. When asked about this peculiar uselessness, he exclaimed that he is from the North??? North of what? He is from Northern France, so why such a narrow range of temperature tolerance? Never could understand that. We rested for the night in a rental outside of Perth. 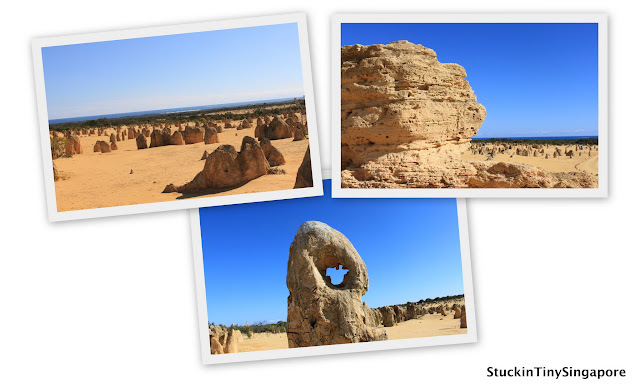 The next morning we did the long drive up (245 km or 3 hours) to Nambung National Park where the Pinnacles are. 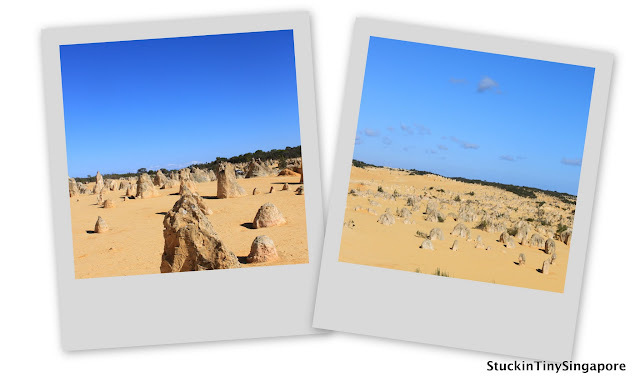 The Pinnacles are limestone formations that come in various sizes and shapes. It is indeed a site to behold. Definitely highly recommended to do the trip up to see them. 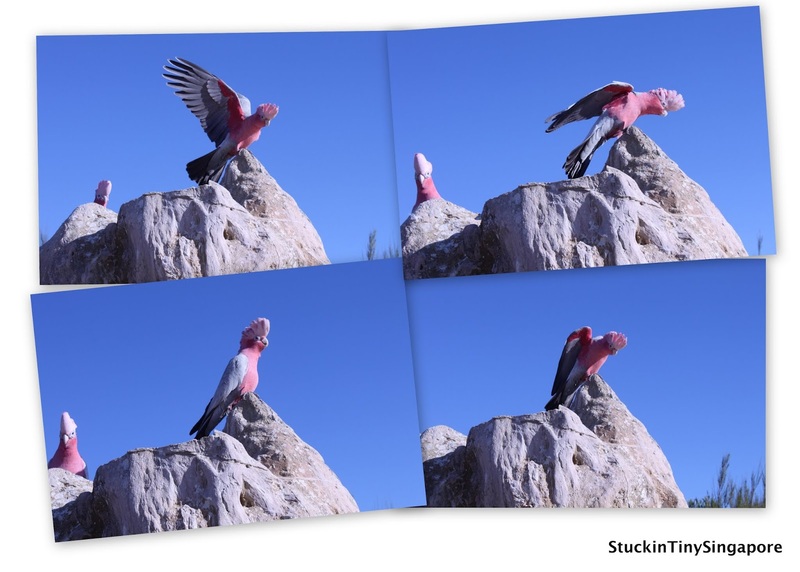 At the park, we also spotted lots of pink coloured parrots, which turned out to be call Galah or rose-breasted cockatoos. There were so many of them. We saw one pair close by and we approached closer so that I could get a good picture of them. One of them, presumably the male was not happy about it and started squawking really loud. 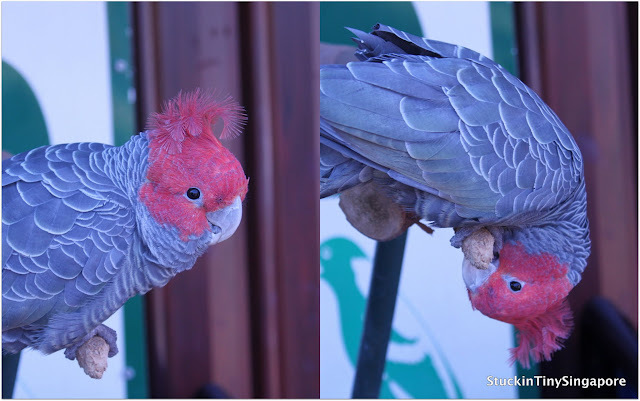 He also raised his head feathers and flapped his wings about, while his companion was looking on quietly. It was quite a sight and it was great to be so close to such beautiful creatures. 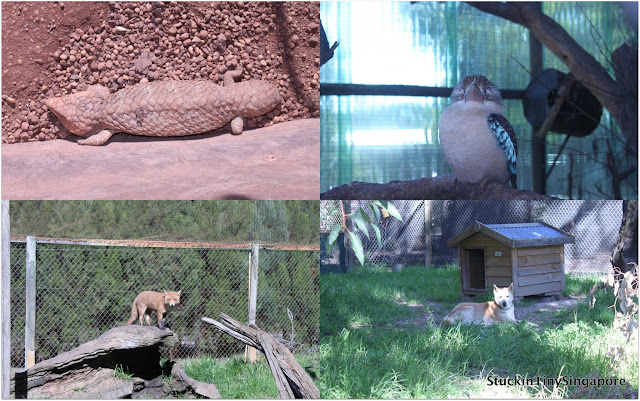 The next day, I brought the family to the Caversham Wildlife park, really popular tourist destinations especially if you want to get close and personal with some of Australia's famous indigenous wildlife. They have a full programme ranging from: Meet the Koalas to Feed the Kangaroos to a Farm show, plenty to keep the family busy and happy. 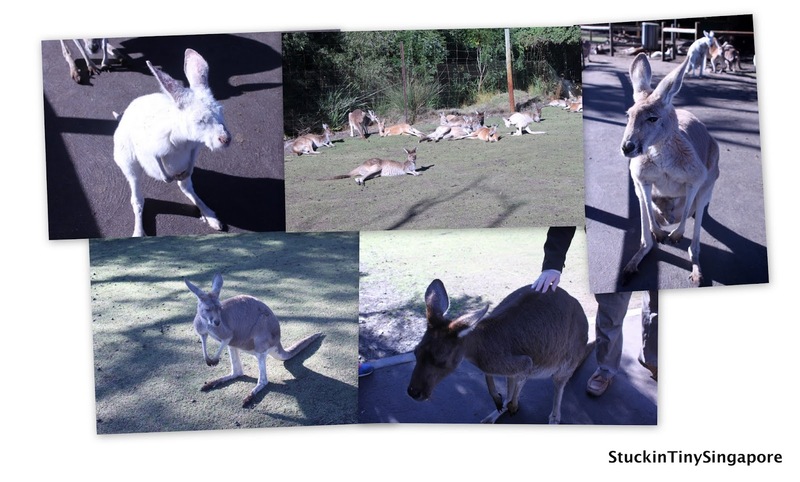 First we went to the Koala enclosure, then had a walk through an open kangaroo park. Then a funny thing happened, the kangaroos thought that we had food for them, so two of the kangaroos started 'fighting' in front of my parents for our attention. The way they fought was exactly like boxing. They used their 'arms' and thrusted at each other. It was hilarious. Next, we went to the farm show, which was super entertaining. You get to see a sheep being sheared, try your hand at cracking a stock whip, milk a cow. The kids' favourite is feeding the lambs. The best of the best is you get to see sheep dogs mustering the sheep. 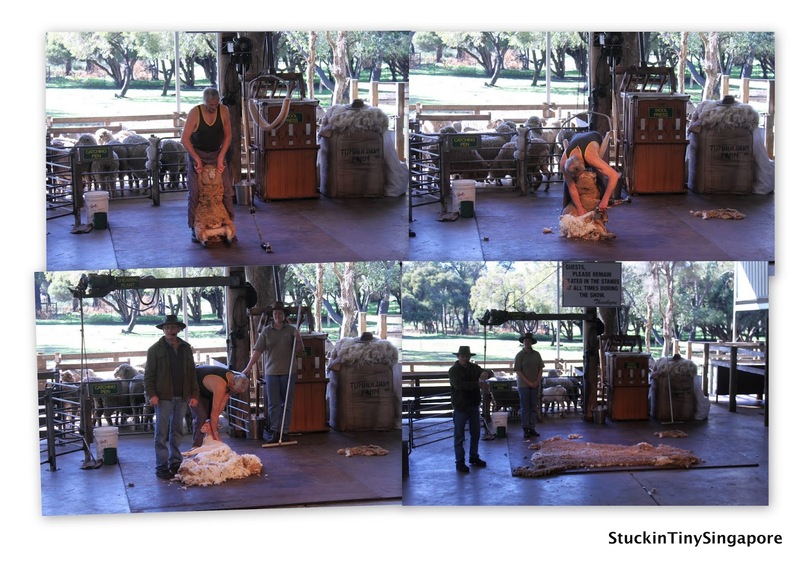 Funnily, the hubby was roped in to try his hand at swing a billy, which is a technique Aussie sheep herders used to mix their tea. The billy is actually a container of water which you spin upside down without spilling by the principles of centripetal and centrifugal forces. If done properly, nothing is spill from the can!! The hubby did it well, and didn't get any liquid all over himself :) I wonder if that has ever happen before. You wouldn't want a soaking wet tourists!! 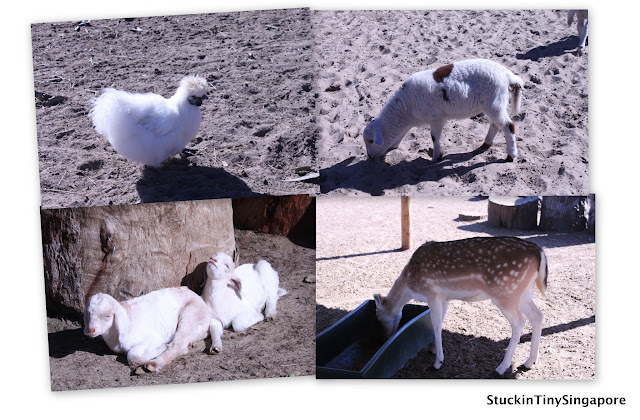 After all that, there were still things to do in the wildlife park. 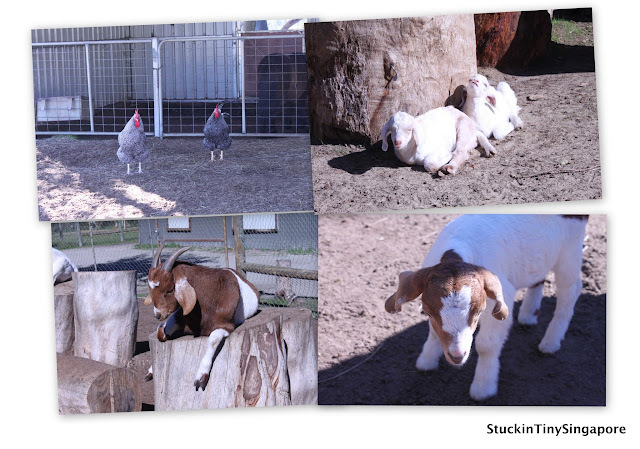 We walked through the farmyard and met more animals from goats to chickens. There were so some birds of prety, joeys (baby kangaroos), more koalas, dingoes, newts, to some animals that I can't remember what they are. 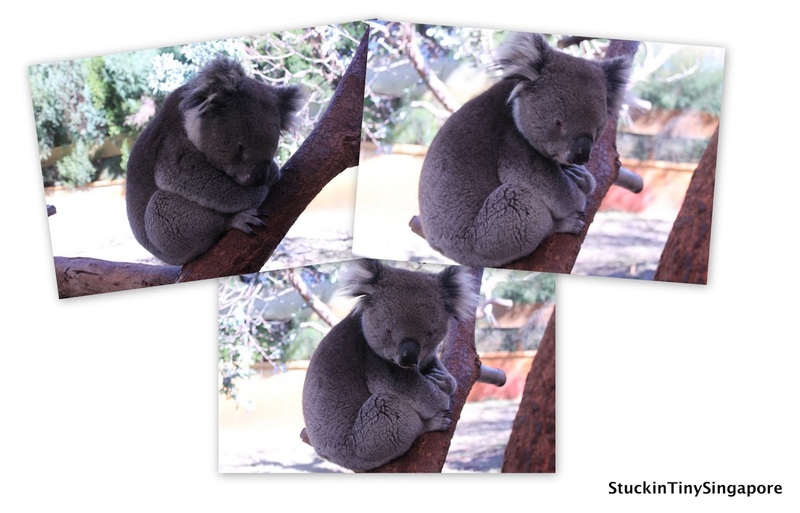 This is the end of part 1 of Perth Trip Travelogue. The next part will contain the whale watching trip we went on, which I spent most of it barfing away. 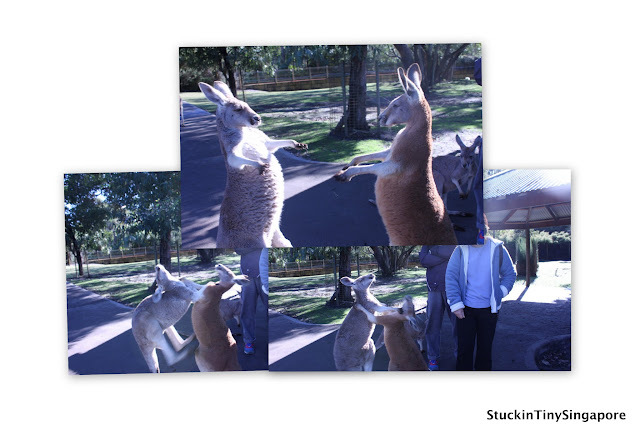 Till the next time, G'day Mate! It sounds nice. Perth is one of the most famous tourism destinations to see in Australia. I like this place due to its amazing tourism sights. Liked your valuable article which you have shared here about Perth and beautiful experience with us. I am thankful for that. Pictures are so pretty…! The animals are beautiful . Being into same business, your post gave me fair idea of how much and what follows in western Australia.